Twin Cities-based non-profit Lifeworks focuses on putting inclusion, community and empowerment into practice for people with disabilities. 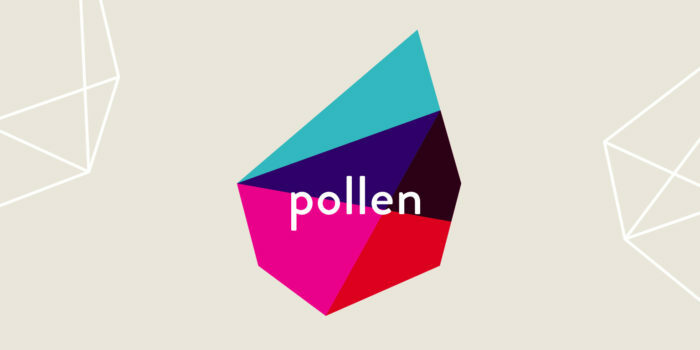 Founded in 1965 by parents of children with disabilities, the organization aims to create a community where people with disabilities are more broadly valued, hired by employers, receiving support and participating in fulfilling activities. 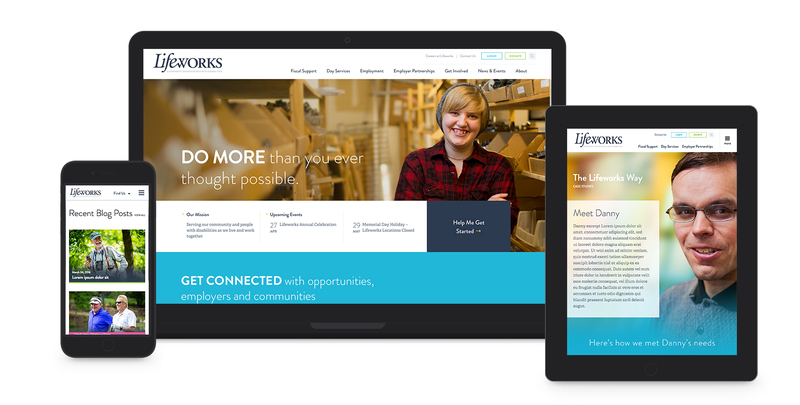 Lifeworks supports more than 800 individuals a year and makes a major difference in its community, but the organization was in need of a brand and website refresh to better illustrate the impactful work they were doing. Lifeworks’ existing brand and website didn’t accurately portray the company’s true identity and the life-changing work it was doing for the local community. What’s more, navigating the issues of disabilities and next steps is confusing and emotional at best, so the website and user experience needed to be clear, encouraging and informative. The Lifeworks team was looking for a simple, uncluttered website that could support its internal efforts, showcase its product lines and serve the needs of its diverse audiences. 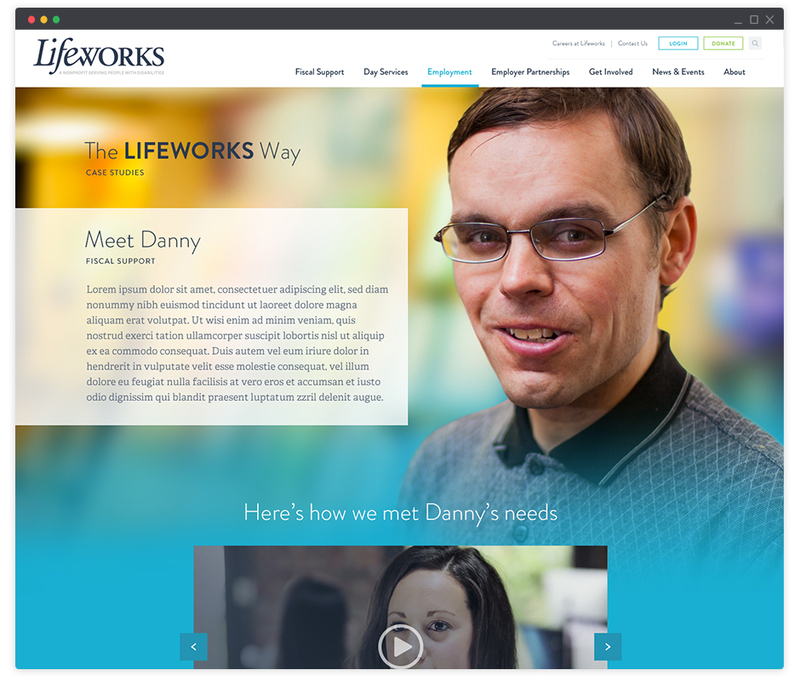 On the front end, Lifeworks’ fresh new design focuses entirely on user experience, inspiring its wide-ranged audience to move through the site and locate information with ease. All imagery on the site now highlights an element of human touch, giving the site a relatable and welcoming look and feel more in-line with the services Lifeworks provides. Designed in a stacked, modular style, the new website makes it simple and straightforward for the internal Lifeworks team to update content and rearrange the site. Arranged with small blocks of benefit-focused content with strategically placed calls-to-action, the new design helps users take the next step toward reaching their goals. We partnered with Lifeworks to create a new branding identity for the organization, defining their three product lines and creating individual messaging for each. With a set of new visual and thematic assets in hand, we got to work creating a new website, including information architecture and visual designs to ensure that Lifeworks users would be able to quickly and easily find the information they were looking for. The new, responsive website included integration with a donation portal, as well as rich media, and job opportunity features. 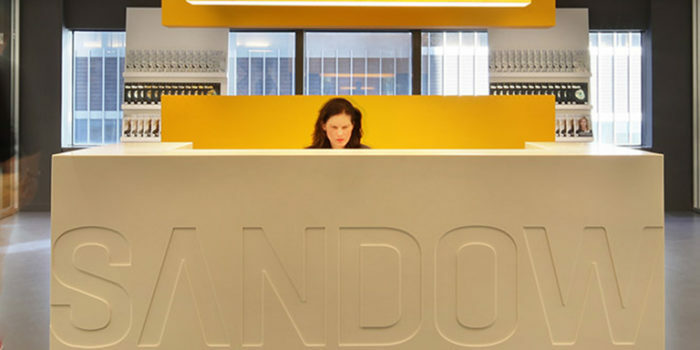 At the end of the project, Lifeworks had the site they’d always dreamed of, focused on customer experience and satisfaction.